My friend Eli (who needs to do an Italo Disco installment of Synth Pioneers) put me onto this documentary, which is likely the best exploration of the English synth-pop moment. With great interviews from heroes like Daniel Miller, Vince Clark and Martin Gore, it really got my blood pumping so I wanted to write about a few other acts who were originators of the international electronic pop sound. Talking about the greatness of Kraftwerk is like talking about the necessity of air, so I’ll keep it short. They just released all of their most well-known albums, remastered and with original artwork. “Computer Love” is one of my al time favorite songs. The way the lead seems to phase shift at the end always takes my breath away. Let’s get this straight: A song about loneliness and computers, made before the internet was invented which glides like classical music? Sounds like a plan. Yellow Magic Orchestra have been called the Japanese Kraftwerk, in that they were both pop innovators and an awesomely stoic synth band. Ryuichi Sakamoto has since gone on to collaborate with Fennesz and Christopher Willits amongst others. 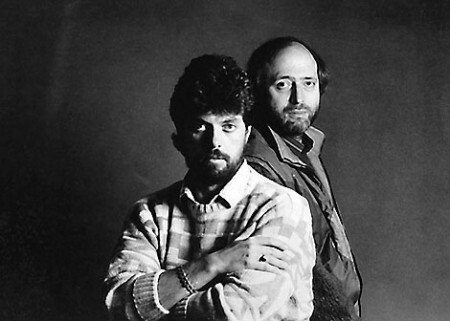 Their work may pre-date synth-pop but it’s surely in the canon of influential works. I often play their hit “Computer Games” if transitioning between sounds in a DJ set. When the beat drops at 1:50, it always lights up the room. A band that is sorely overlooked is David Sylvian’s Japan project, which married glam and (some would say, invented) new romantic aesthetics to synth austerity and elegant arrangements. Their full sound was more complex than their peers and more sinister by a long shot. Recently, Sylvian has also collaborated with aritsts like Fennesz and covered acts like Blonde Redhead with stunning vocal clarity. 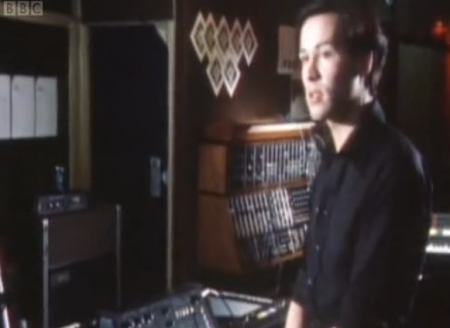 Scotland’s Simple Minds were another band not included in this documentary, probably because they are more associated with the New Wave movement, but like labelmates the Human League, they’re example of a band moving from experimental work to pop success. Their work became increasing U2-like and less electronic, but this track captures them at the peak of a rewardingly sweeping sound, with pitch-perfect production to boot. Parts 1, 2, and 3 of the Synth Pioneers series can be found here. An good intro can really make the song. It can set the mood, erasing whatever else is around you and make you feel safe from the world. These songs work because they are incredibly funky and use the impossible elasticity of the synth to great measure. Another reason these songs still feel fresh is because they represent an era where music and technology had reached a new apex. 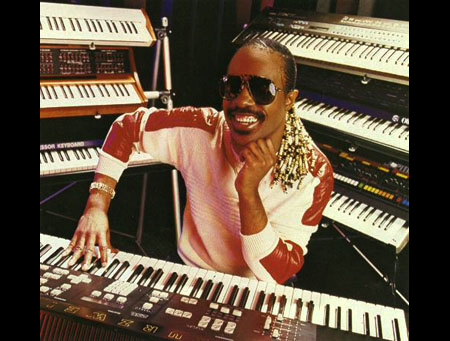 Stevie Wonder’s synth work in the 70’s is considered by many to be the most influential of it’s era, thanks in part to his work with Tonto’s Expanding Headband and their TONTO synth (watch this little documentary), which allowed the funk to show through the machines. These songs honor that legacy in different ways. Produced by Nile Rodgers and Bernard Edwards of the all-time best disco band Chic, this was a UK chart hit but never on a US album save for a low-key soundtrack. Not as synthy as the rest, but about as good a pop-disco track as you’re likely to hear, skanking along at an easy clip. A funky version of Shuggie Otis’ deathless original, this cut is synth and bass heaven and helped them reach platinum status. Produced by Quincy Jones no less. Dexter Wansel was on Gamble And Huff’s famous Philly International label. Ann Arbor/Detroit legend DJ Carlos Souffront sold me this re-issue at Osborne’s record store in Ann Arbor years ago and it never sees the shelf. The cut breaks into some super funky disco heat, but that cosmic intro makes this one truly staggering. Greatest bassline awards #1 and sits between genres pretty niftily. 1980 was a MONSTER YEAR for synthy funk, the R+B charts were producing some great tracks, fast and slow. Boogie music is getting some love thanks to revivalists like Dam Funk, and with good reason. Feel this video. With GM in the news, I was thinking about Detroit tonight. Detroit was the city I grew up closest to. My father grew up here and his dad worked on the Mercury Zephyr line. Growing up near the city, the musical influence was huge. On any given weekend in the mid-to-late nineties, late night radio would mix up everything from the classic Art Of Noise song “Moments In Love” to local ghetto tech beats and new drum and bass coming out of the UK. Much has been made about the city and why it’s music sounds the way it does. The desolate beauty, the mechanized auto factories and even the isolated water-ensconced nature of the state. All if it is true. Here are four tracks that give me that Detroit feeling. These not the more discussed and celebrated classics, but more personal favorites. 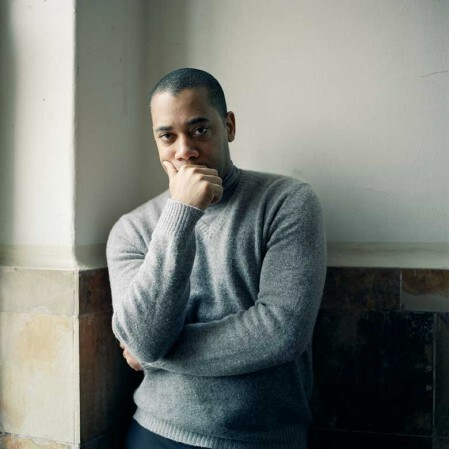 Carl Craig is a real legend and continues to impress. This song, under the Psyche alias is perhaps one of my favorite tracks ever. It has a crazy spell to it. It’s not quite techno and it pre-dates the breaks and jungle genres. It’s on it’s own planet. Pure late night driving music to roam the vacant freeways. Note: Please play on a proper stereo or headphones as the bassline is what holds this all together. Juan Atkins (“The Originator”) is arguably the greatest groove maker of the Detroit techno school. Cybotron, his group with Richard Davis and John Housely is responsible for some of the most seminal cuts that have been sampled and re-interpreted endlessly. I remember driving down to the store Record Time in our friend’s Ford Fiesta, listening to this on repeat and his subs would rattle the entire frame. Simply majestic. Drexciya is the most mythical duo of the Detroit techno school. The duo of the late James Stinson and Gerald Donald (also of Dopplereffekt, more on that later) made aggressive yet liquid odes to the ocean and it’s provence. This was a later cut, but got me into their brand of mutated electro. Their original pressings fetch a pretty penny on eBay and with good reason. As part of the vaunted Underground Resistance Crew, Suburban Knight racked up a Detroit classic with “The Art Of Stalking” and also co-wrote tracks with Kevin Saunderson for his seminal and wildly successful Inner City project. This is a more recent track, and not a “classic” by any means, but I chose it because it’s important to recognize that Detroit techno is not a vintage style, it’s a methodology and an ethos that will continue to exist. Create Digital Music has posted an excellent interview with Paul Frindle. Frindle was one of the people at the center of the digital revolution in audio recording; he worked on SSL G-Series Console, was “part of the team that broke the “damnable black art” of digital conversion”, founded Oxford Digital (whose EQ plugin I still use extensively), and developed the application the Sony OXF-R3 Console. It’s a pretty technical article but it highlights how creativity and genius can combine to fundamentally change an art form. 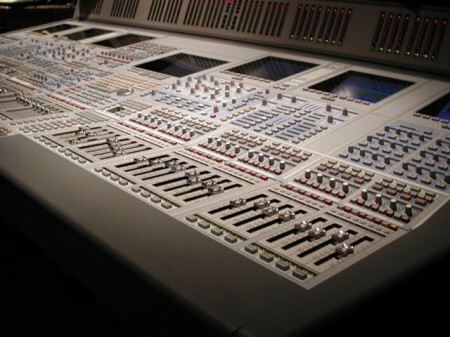 Some producers and musicians these days lament the shift to digital saying that analog will always be better than digital. I tend to agree with that statement — particularly when it comes to synthesis — but the move to digital has made the process of production so much more efficient and accessible that it’s hard to argue against it. Digital audio has opened the doors of the music industry to anyone with a computer and made artists of people who might not have had access otherwise. Although I have spent many years trying to shift my process into the analog domain, I certainly wouldn’t have been able to get a start in music if it weren’t for the ability to record digitally. So here’s to Paul Frindle and everyone like him who paved the way for a revolution in music, because whether we’re making music or enjoying it, we all owe these pioneers a debt of gratitude. 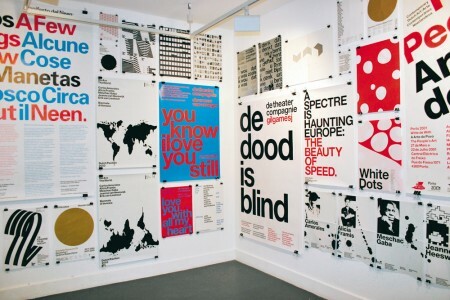 Late last year I had to pleasure of interviewing Danny, Marieke and Erwin of Experimental Jetset. 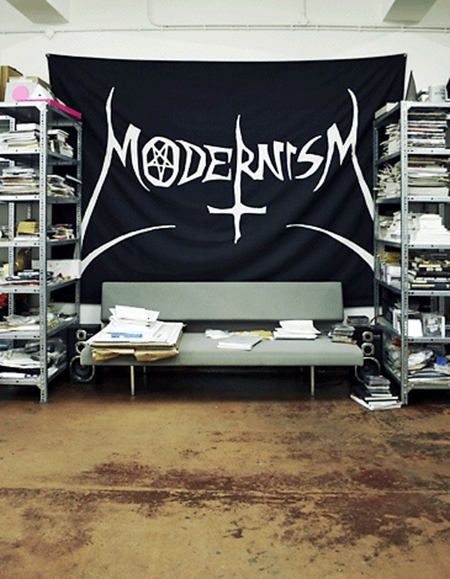 Founded in 1997 and based in Amsterdam, Experimental Jetset is one of the most exciting and highly regarded studios working today. They create exceptionally beautiful work; immediately recognizable for its top notch quality and unique remixing of modernist principles and stylings. Their global renown continues to soar– most recently thanks to their part in Helvetica and the extreme popularity of their (now re-released) John&Paul&Ringo&George shirts. A quick perusal of their website can easily turn into hours as you browse through their catalog of work and read their comprehensive descriptions of each project. In these descriptions, and especially in interviews, the depth of their reflection is astounding. They take great care to consider every perspective — whether it be a report of one of their own projects, or an answer to a seemingly basic interview prompt — their ability to discuss Design and work is as remarkable as it is fascinating. What follows is our discussion from November 2009. Enjoy! 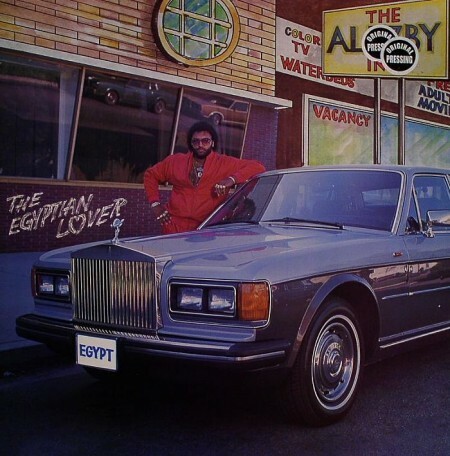 Loving this Egyptian Lover track, reminds me a bit of Twin Peaks at times. Everyone has their favorite MJ song, this was mine, loved the crowd noise when I was a kid, makes me think about seeing video of Europeans looking at Michael Jackson perform live on stage and freaking out and getting dragged away crying because they loved him so much, to be honest when MJ passed I was thinking that Europe would flip out 10x more than the US and it probably did. Sam posted some Drexciya a few weeks back, really minimalistic speedy synthy dark electro, perfect for a night speedboat rides. For this Dam Funk track you really need to let it get half way through, Think Sonic the Hedgehog meets 2Pac if you aren’t into it so it at least puts a smile on your face, for the recent of you enjoy the heat this curious talent is giving off.